HAS AIFMD RESULTED IN FORTRESS EUROPE? The Alternative Investment Fund Managers Directive (“AIFMD”), which was required to be implemented in EEA Member States by 22 July 2013, has been a regular feature of the investment funds press since it was first proposed by the European Commission on 30 April 2009. From the start, there was industry-wide concern that the AIFMD was a protectionist measure, designed in part to keep US hedge fund managers and their products out of Europe. On more than one occasion, US Treasury Secretary Timothy Geithner wrote to EU finance ministers as well as European Commissioner Michel Barnier, warning that certain aspects of the AIFMD were discriminatory and contrary to G20 commitments. Now that the AIFMD has been, or is in the process of being, implemented in the 31 EEA Member States, has it resulted in the “Fortress Europe” that the industry feared, or has the industry managed to adapt to the new requirements? One has to consider that question from two quite separate angles: first, that of EEA-based managers; and second, that of non-EEA managers wishing to market their funds to professional investors in the EEA. For EEA managers, the pain of going through the new authorisation process and being subject to the full requirements of the AIFMD is, in theory at least, offset to a certain extent by the promise of a “passport” to market their funds to professional investors throughout the whole of the EEA. Most EEA managers are currently still going through the authorisation process, so it is still too early to say whether the AIFMD passport will be a success or whether – as happened early on with the UCITS passport on which it is modelled – unexpected road blocks may appear so as to render the AIFMD passport less useful. Worryingly, at least one Member State is requiring that fees be paid and that a local agent be appointed before the passport can be exercised by an AIFM from another Member State. This is not something contemplated by the AIFMD and may be seen as a potential barrier to the smooth operation of the passport. If the passport does not work as promised, there will certainly be a sense from EEA managers that the main carrot for authorisation is not as sweet as might have been promised. For non-EEA managers, the situation is somewhat of a mixed bag. In essence, whether such a manager considers the AIFMD to be “Fortress Europe” very much depends on which Member States it wishes to market its funds into. By way of explanation, the AIFMD imposes certain minimum disclosure and reporting requirements on non-EEA managers wishing to market their funds in the EEA. However, individual Member States are free to impose their own, additional, requirements. For example, a US or Asian hedge fund manager wishing to market its funds only in the UK, the Netherlands, Sweden, Ireland and Luxembourg is likely to be required to comply only with those minimum AIFMD requirements, along with a basic notification or very light registration requirement with the relevant local regulator. If the manager is willing and able to comply with those requirements on an ongoing basis in each of the relevant Member States, its perspective may be that the AIFMD increases the costs of marketing and introduces new compliance issues, but is still manageable overall and worth the increased costs. However, if that same manager instead wished to market its funds into France, Italy, Spain, Germany and Denmark, it is likely to come up against various barriers. For example, France, Italy and Spain make it difficult, if not impossible, to market hedge funds even to professional investors. Germany and Denmark, meanwhile, permit marketing, but each imposes a requirement that one or more entities must be appointed to carry out the depositary functions set out in the AIFMD (those functions being custody, cash monitoring and general oversight of the fund). Most hedge fund managers’ prime brokerage and administration arrangements will fit some, but not all, of those depositary functions. So, such managers will need to amend existing agreements and in some cases appoint new service providers. All this takes time (setting aside the fact that the registration process in Germany and Denmark can take two to three months) and, certainly, costs. For such managers, then, the impression of a Fortress Europe may be a very real one. Time will tell whether non-EEA managers, faced with the complexity that has only been hinted at above, will abandon Europe for less oppressive climes. To date, many non-EEA managers have put a temporary halt on marketing to EEA investors while they try to understand the rules, some relying on “reverse solicitation” in the meantime. The result is that EEA investors (including many large pension funds) may end up with fewer fund products to choose from, which some would argue is ultimately not in investors’ best interests. 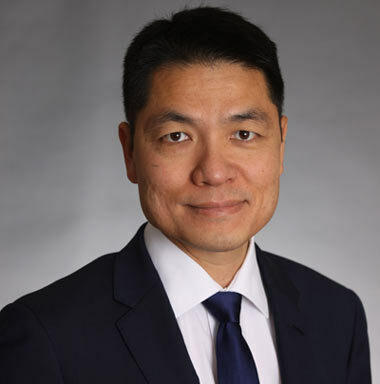 Leonard Ng is a partner at Sidley Austin LLP in the Financial Services Regulatory Group in London. He advises a wide range of financial institutions on UK and EU financial services regulatory issues.